One hundred fifty years ago, the citizens of Milwaukee were busily preparing for the Soldiers’ Home Fair scheduled to open June 28. Hattie’s mother was one of the women responsible for this statewide effort to raise funds to build a permanent home for Wisconsin veterans. Along with thousands of other children, Hattie and her brother did their part to support the cause. 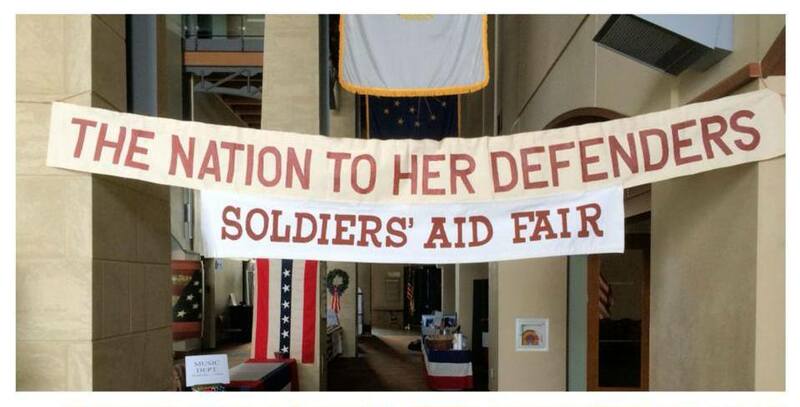 On Saturday, June 13, 2015, the Kenosha Civil War Museum is sponsoring a Soldiers’ Aid Fair as part of the annual Salute to Freedom. 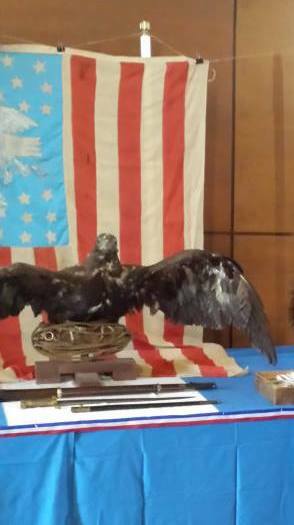 Members of the modern West Side Soldiers Aid Society will recreate booths from the 1865 fair, including the Delphic Oracle, Jacob’s Well, the Wool Department, the Holland Kitchen, and Old Abe. Emily and I will present a brief program on Hattie’s War at 1:00, and our friends on the Milwaukee Cream Citys will play an exhibition match of vintage base ball at 2:00. After the game, fans can take batting and field practice with the team! Visitors can do their part to support our troops by bringing donations for the Milwaukee Homeless Veterans Initiative: bicycle locks and helmets, cleaning supplies, bath towels, facial tissues, paper towels, dryer sheets, Q-tips, bath mats, throw rugs, laundry baskets, coffee makers, toasters, crockpots, vacuum cleaners, irons / ironing boards, mops, brooms, Sterilite or Rubbermaid 26 gallon (105 quart) storage bins. 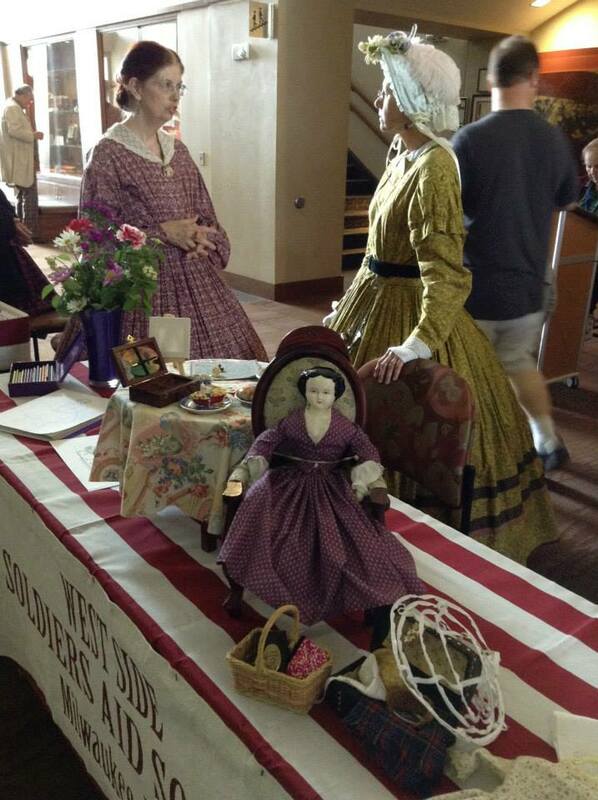 This FREE family celebration features events all day–don’t miss this unique opportunity to experience our history and heritage. In Hattie’s War, Charlie Moores plays base ball with Hattie and the other neighbor children in the backyard–until he enlists as a drummer with the 39th Wisconsin Regiment, heading to Memphis for the summer. President Lincoln really did put out a call for 100-day regiments, with the thought that the war could be won in that time with a surge in troop numbers. Several such regiments departed from Milwaukee in June of 1864–and a drummer named Charlie Moores was among them. Those of you who have read Hattie’s War are aware of Charlie’s fate. His true story is just as tragic. Charlie never made it home from Memphis–he died of fever while serving with the Colonel Buttrick’s 39th Wisconsin Regiment that summer. 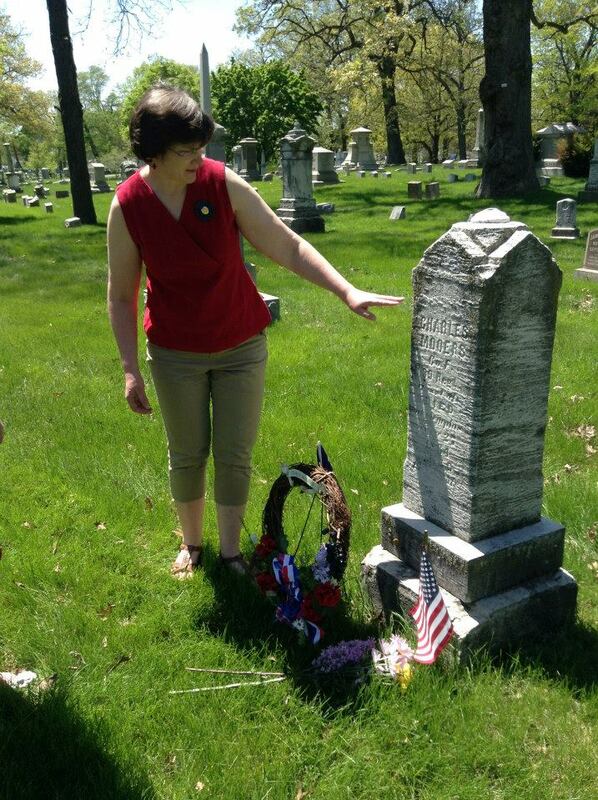 Last Memorial Day, I took part in a wreath-laying ceremony with the West Side Soldiers’ Aid Society at Forest Home Cemetery. I carried the wreath for Charlie Moores, who is buried there. As the May breeze blew through the towering oaks, I thought of Charlie–a boy who died too young, who left no direct descendants to remember him. What might he have really been like? Did he play base ball? What was his favorite subject in school? What did he like to eat? What did he plan to do when he grew up? What made his heart sing? I felt both humbled, and heartbroken, to carry his memory. There are thousands of young soldiers like Charlie. They lie forgotten in cemeteries across the country and over the seas. On Memorial Day, it behooves us to remember them–not as white gravestones, but as people–people who laughed and cried, went to school, learned a trade, played sports, sang and danced, and kissed their mothers or sweethearts good-bye. Even more important, let us honor these fallen soldiers by working for peace and understanding among people, cultures, and countries different than our own, so that the cycle of fighting and violence may end. 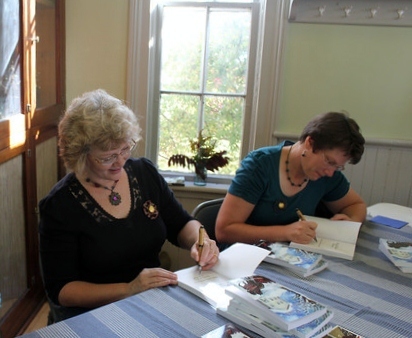 Back in the 1970s when Emily and I attended Yorkville 4-H meetings in the old schoolhouse we knew as the Clover Center, we never dreamed that someday we’d be signing books in that very building. On a glorious Sunday afternoon in September our families and friends and neighbors gathered for the Plank Road Winter launch party. 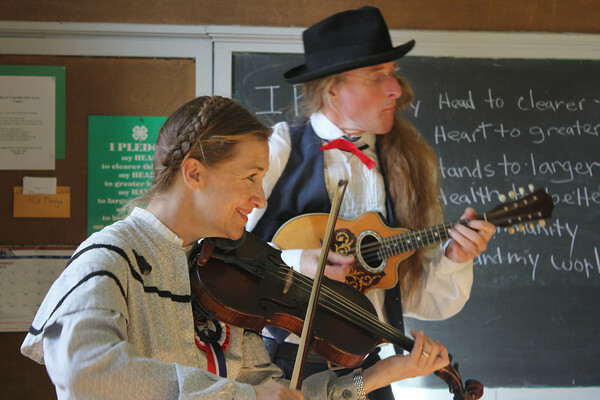 The doorway into that 1886 schoolroom was a portal to the past as the musicians played old tunes and the dancers circled and stomped on the sturdy wood floor. 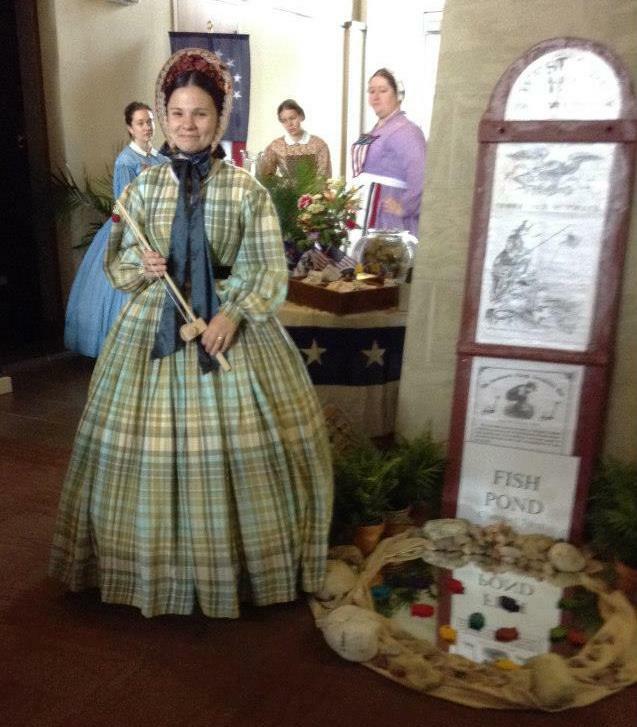 Some of those in attendance wore period attire, and these visitors from the nineteenth century mingled easily with our twenty-first century guests. Our caller, Patricia Lynch of the West Side Soldiers’ Aid Society, taught the figures of each dance. 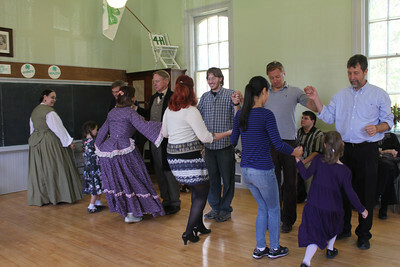 Members of her Victorian Dancers group ably helped beginners of all ages and also demonstrated several Civil War dances. Around three o’clock when the Packer game was about to start, which meant that nobody was in line to have a book signed, Emily and I were able to take a few turns on the dance floor ourselves. 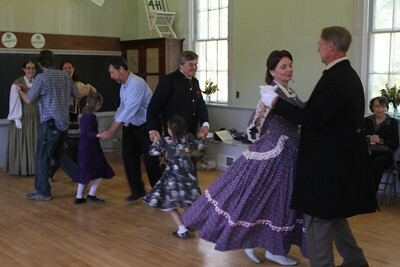 Many thanks to everyone who attended the launch and to all who share our delight in preserving traditions such as old-time dancing, especially in places like that beautiful little Yorkville schoolhouse.